Bricks are unique types of product produce by leading fire bricks manufacturers and exporters that possess the capacity to withstand high temperatures. 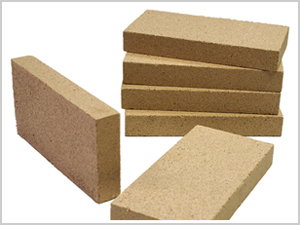 Fire bricks are also known as Refractory bricks. They’re high heat resistant and are triangular in shape. 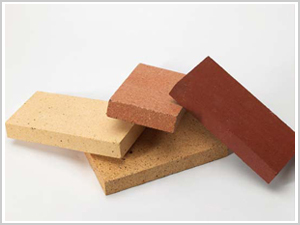 The main usage of fire bricks are for lining of the furnaces, bake ovens, and pits. These bricks contain aluminum oxide and silicon dioxide. Since they are manufactured in very high temperatures, they have the capacity to withstand high temperatures. They’ve got innumerable uses. They’re considered to be the most versatile and indispensable product because they are used in wide variety of fields. The pizza ovens are also made out of refractory bricks. Our products are highly appreciated in the market because of our maintenance, our cleaning and constant replacement services. In order to avoid constant replacements or damage, the soot from the bricks needs to be removed very often. Also, our guidance brochure instructs proper use of detergents to clean the plates of the oven thoroughly. 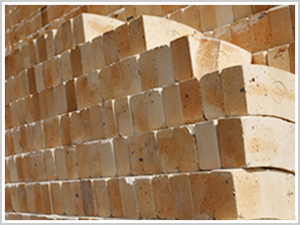 Our years of experience in the field have made us known for being premium refractory fire brick manufacturers and exporters India. In order to maintain the durability, these bricks need to be cleaned properly. The main part is using the right bricks so that it’ll seldom require repairs and maintenance. We manufacture industrial fire bricks using highly advanced machineries and techniques. These machines are highly efficient to bare and fit different sizes of bricks.